An assortment of things to read as you sip your coffee, my dears. Every time I read about Iceland, I learn about another aspect of life that is pretty much awesome there. Here’s the latest, from the New York Times: Iceland’s Water Cure. Every Icelandic town, no matter how small, has its own pool. There are ramshackle cement rectangles squatting under rain clouds in the sheep-strewn boonies. There are fancy aquatic complexes with multilevel hot tubs and awesomely dangerous water slides of the sort that litigious American culture would never allow. 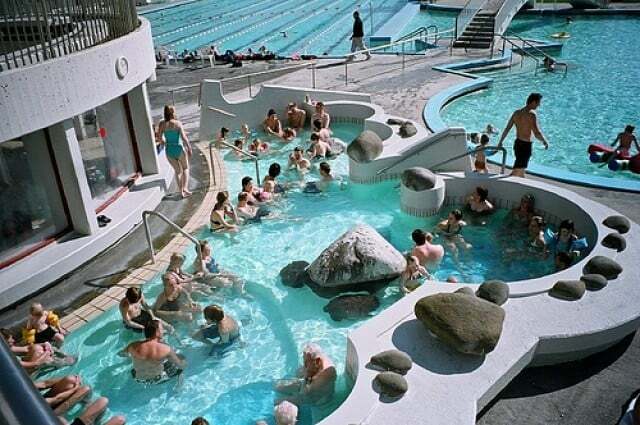 All told, there are more than 120 public pools — usually geothermally heated, mostly outdoors, open all year long — in Iceland, a country with a population just slightly larger than that of Lexington, Ky. “If you don’t have a swimming pool, it seems you may as well not even be a town,” the mayor of Reykjavik, Dagur Eggertsson, told me. I interviewed him, of course, as we relaxed together in a downtown hot tub.